On Sunday, Laura Passero, an 81-year-old grandmother, was mugged inside her Bronx apartment building. 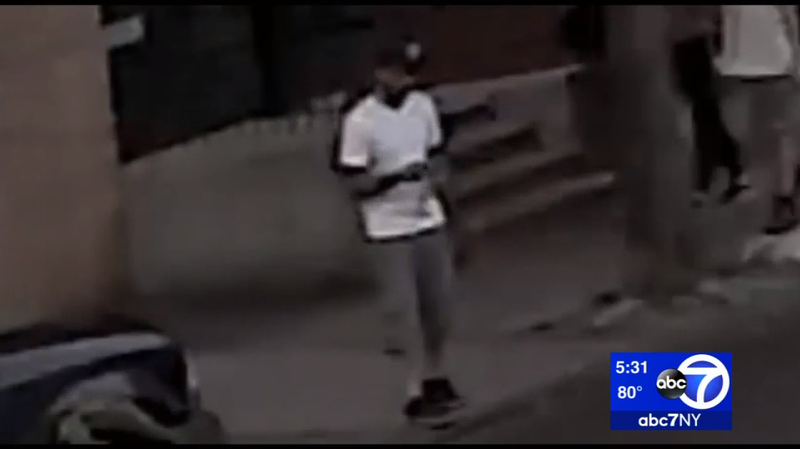 Surveillance footage shows her attacker waiting for a victim outside the Arthur Avenue building, following Passero inside when she comes home. According to Passero, he knocked her to the ground and took her gold “#1 Grandma” necklace, a present from her grandchildren. Three blocks away, the Sunday before, 90-year-old Frances Tomanelli was robbed too, under eerily similar circumstances. “He says ‘give me your money, give me your money,” she recalled. Her attacker also took a precious necklace, dear to the memory of her late husband. Both victims immigrated to the U.S. from Italy decades ago and have been longtime members at the same church. In addition to declaring her the #1 Grandma, Passero’s necklace bore eight charms, engraved with the birth dates of her eight grandchildren.